If it is something sweet you are craving, then here are my favorite picks. I prefer to start with dessert. 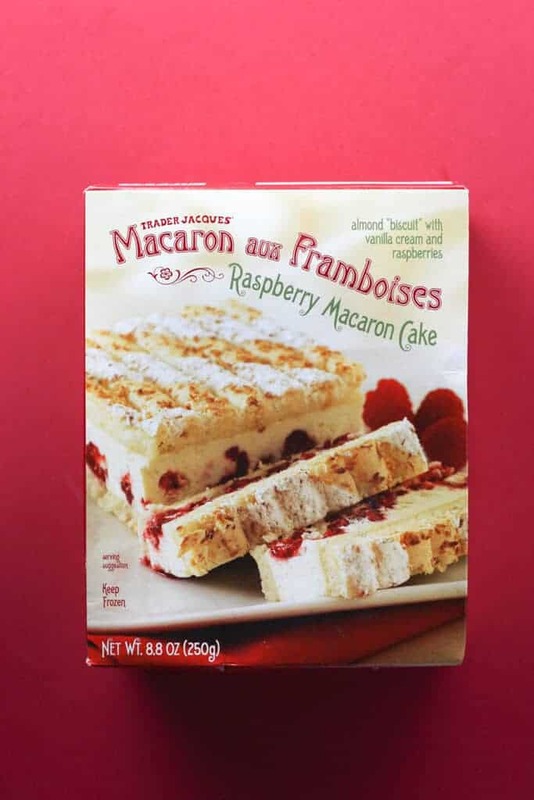 If you ever try to buy Macarons at some fancy French place, you’ll pay almost as much for one as you do this entire box. 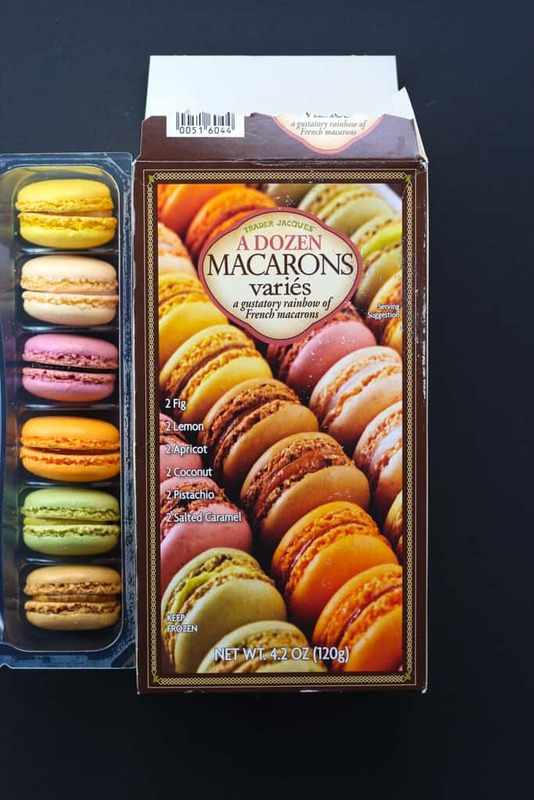 You can see my review these macarons and the equally good chocolate and vanilla ones here. One taste of this, and I was in love. Unfortunately, I have not seen this item much since it return to shelves. I hold out hope that this will be back soon. You can see my full review here. 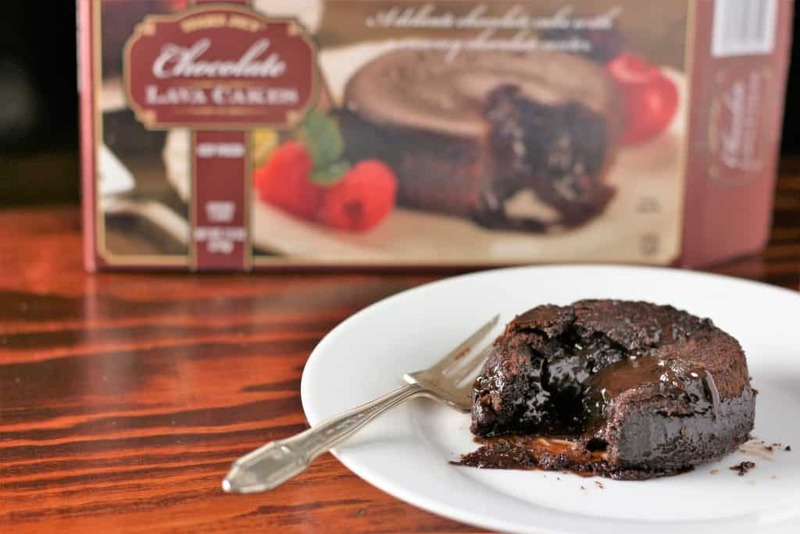 If you are a chocolate fan, then this Chocolate Lava Cake is an item worth looking into. Vanilla ice cream and whipped cream are great pairings. If you don’t have the freezer space, then perhaps the salted caramel chocolate mug cakes in the grocery aisle are a better match. 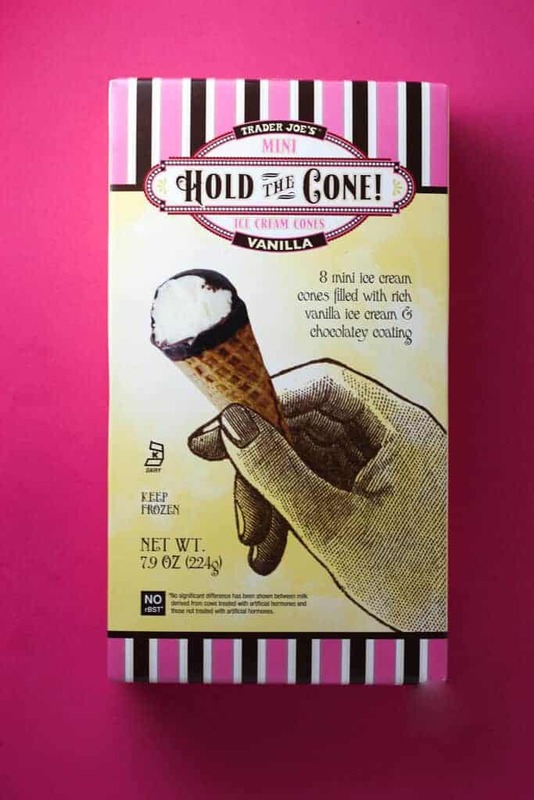 For the record, there isn’t a bad flavor pairing in this line of Hold the Cone! There is Vanilla and Chocolate available year round. But the Pumpkin and Peppermint are excellent seasonal options. These little ice cream cones will make you understand why they list calorie counts both by the serving and by consuming the whole box. This is a Chipwich but oh so much better. This is all truth in advertising when they say “sublime.” You can read my full review of these here. Just enough Speculoos flavor to make these special. Cut into small pieces in an attempt at portion control. 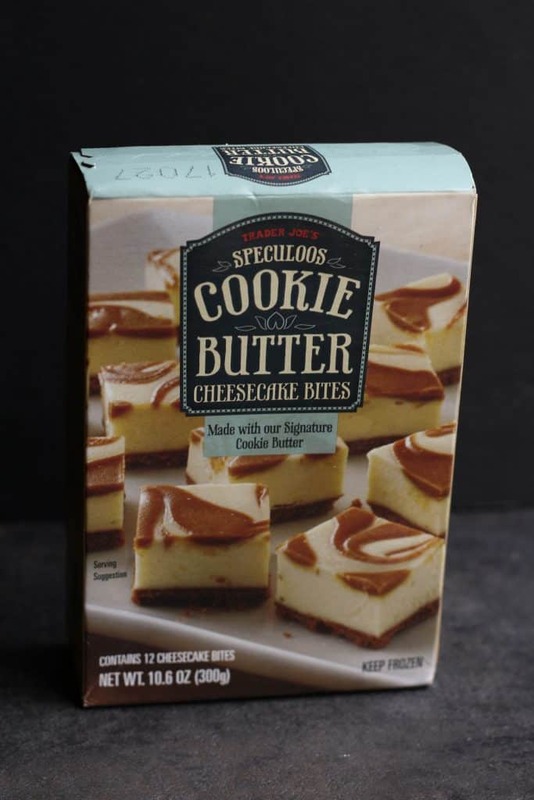 If you like cheesecake these Speculoos Cookie Butter Cheesecake Bites are worth a try. Or if you want to feel inspired for ideas on what to do with a jar of Speculoos you can check out my Best Things to Make with Cookie Butter. 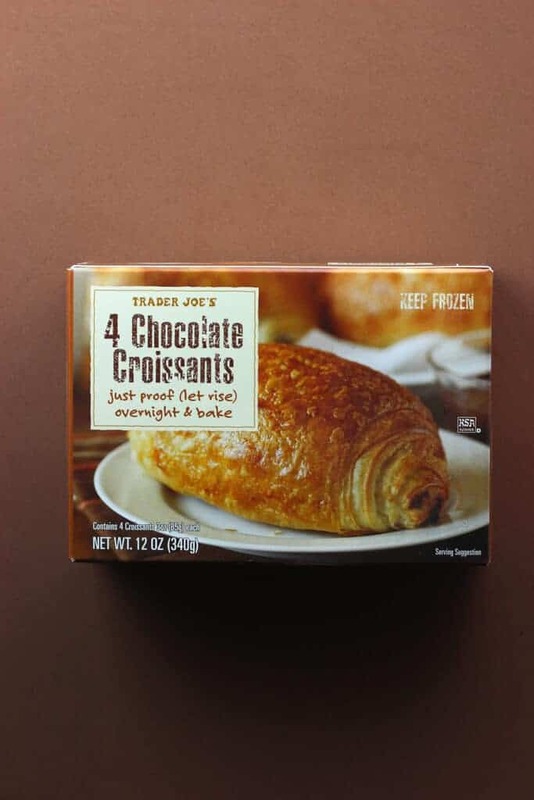 Trader Joe’s line of Croissants rival those of your local bakery. Both the chocolate and almond varieties are excellent. Just be aware, the almond ones do leak a bit, but that molten filling (when cooled) is amazing. Whether you toast these or air fry them, these pre-made Hashbrowns are easy and tasty. 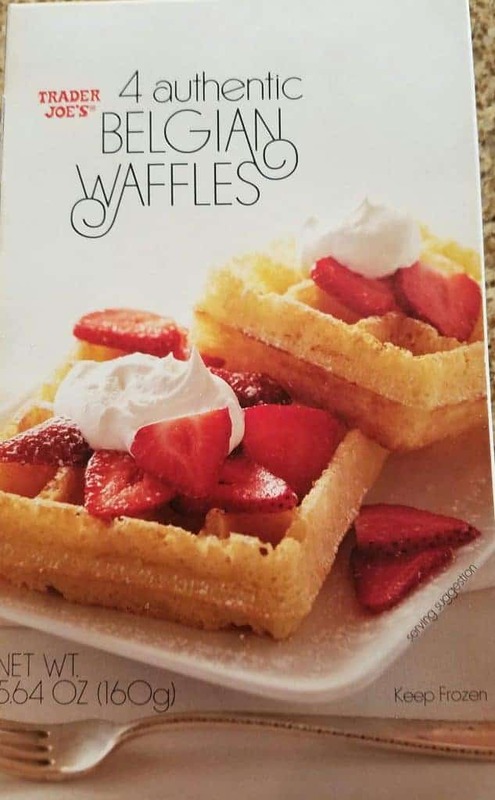 I wasn’t sure whether I should these Belgian Waffles should be added to the breakfast or dessert list. Which ever way you enjoy them, they are very well done. 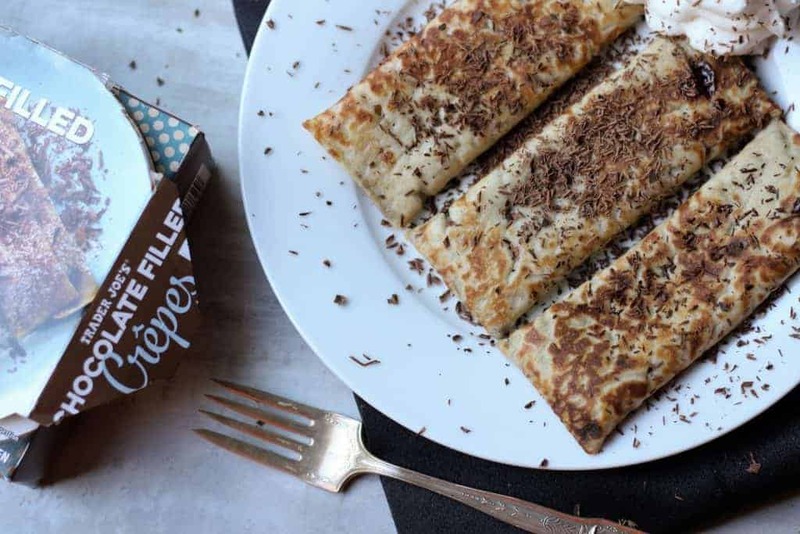 These Chocolate Crepes could be breakfast or dessert. For a frozen crepe they were very good. 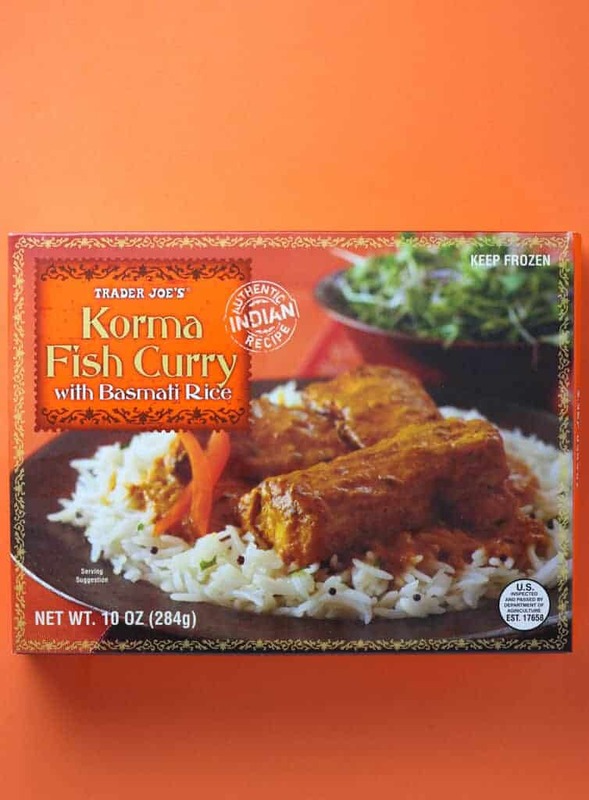 So there are a lot of home runs worthy items that rival that of your local Indian restaurant. If you’ve ever been scared or intimidated to try Indian food, consider these an inexpensive introduction. If it is frozen and ends in Masala, it is good. 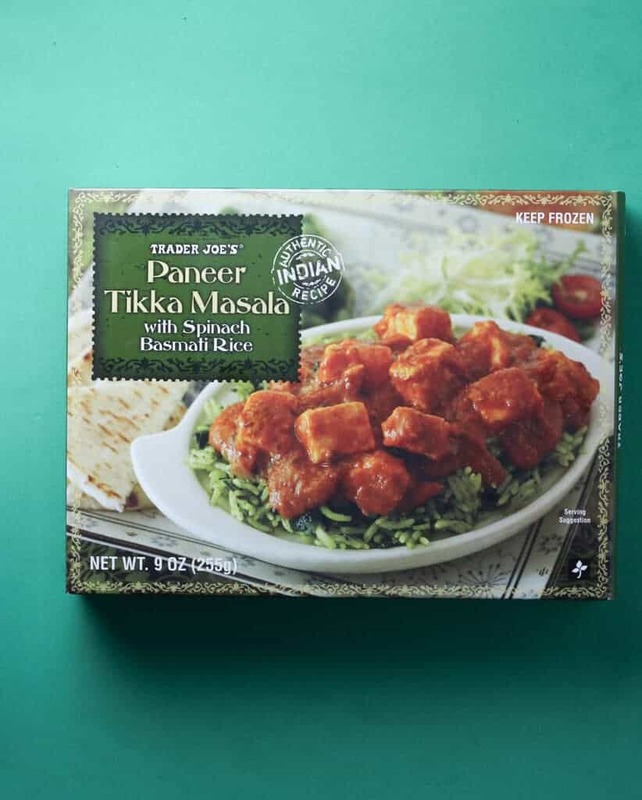 The standout item here in this Paneer Tikka Masala is the spinach rice. Chicken Tikka Masala is often many people’s introduction to Indian food. Once again, this rivals what you can expect in a restaurant at a fraction of the price and in a freezer entrée. 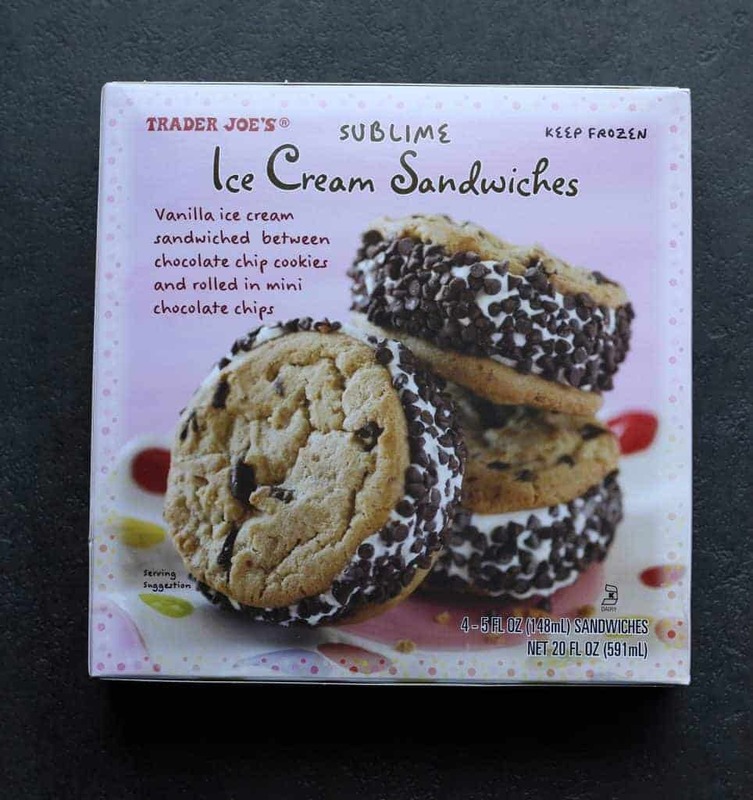 If you are vegan, Trader Joe’s didn’t forget about you. 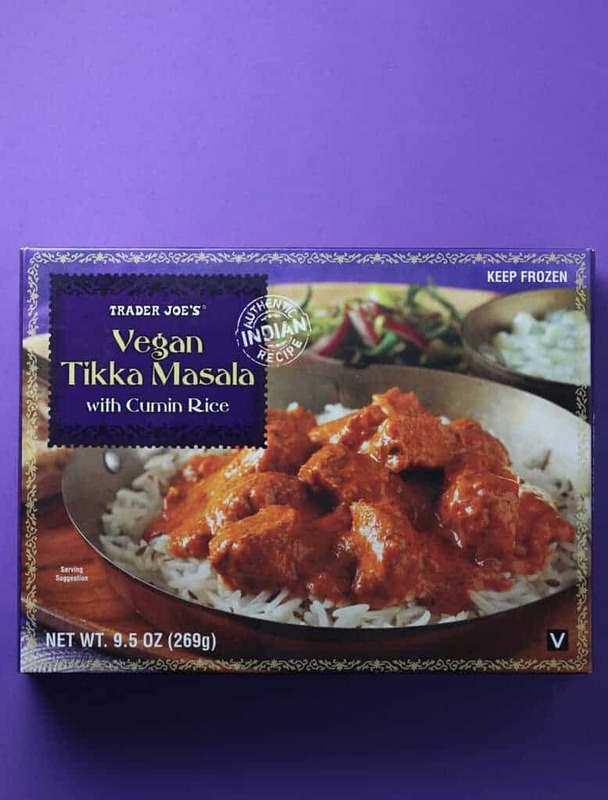 Trader Joe’s Vegan Tikka Masala is as good as the other tikka masala varieties. Even if you aren’t vegan, it is hard not to love these little vegan bites. If you are open-minded to having fish in the microwave, then here is another solid option. Just understand the fish isn’t the star here. In Fish Korma Curry, the sauce is the star here. If only they jarred it and sold it. There aren’t many options if you enjoy lamb and want a frozen entrée. 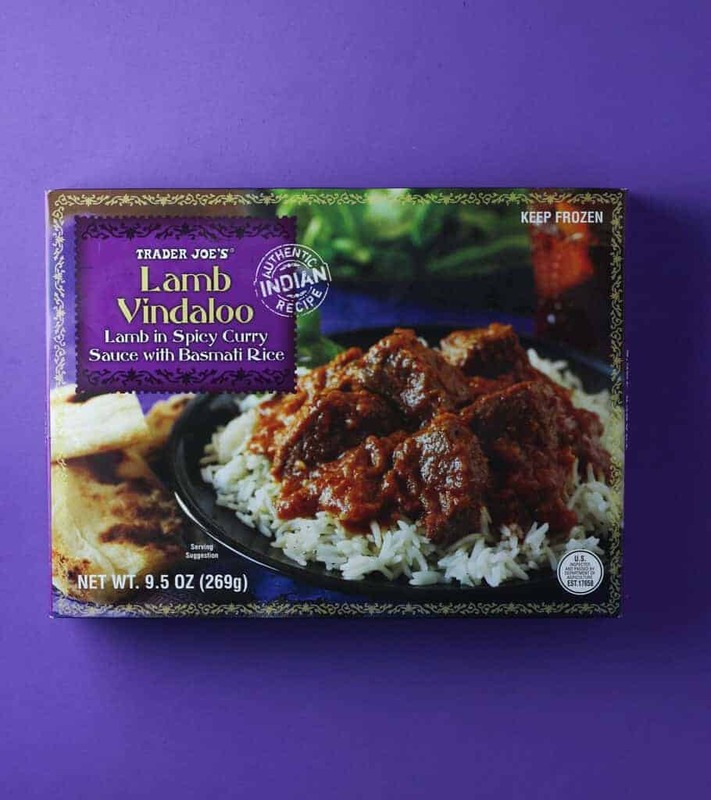 Trader Joe’s Lamb Vindaloo takes you on another culinary adventure in the Indian section. 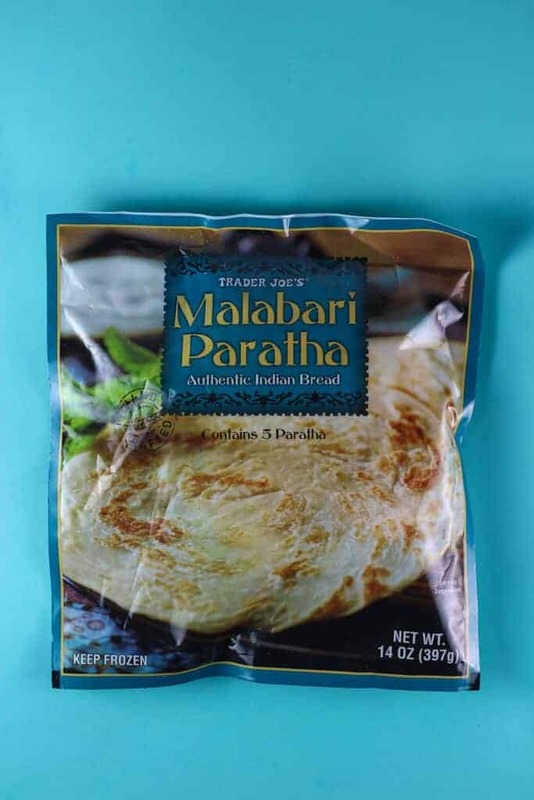 This Malabari Paratha is the newest addition to the Indian line. If you like bread with lots of layers, then this is worth a try. 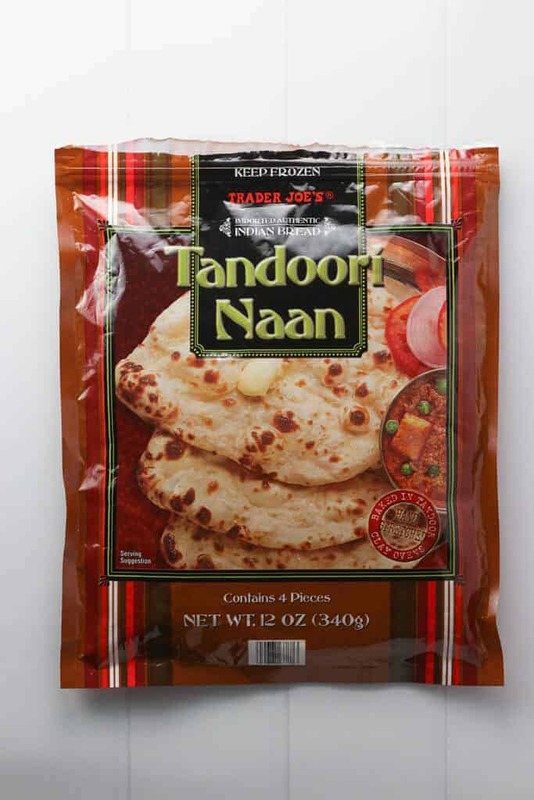 You can get Naan in two varieties: tandoori and garlic. Both solid options if you need some bread to dip or as a side. There is a reason this comes out on top of Trader Joe’s customer survey. 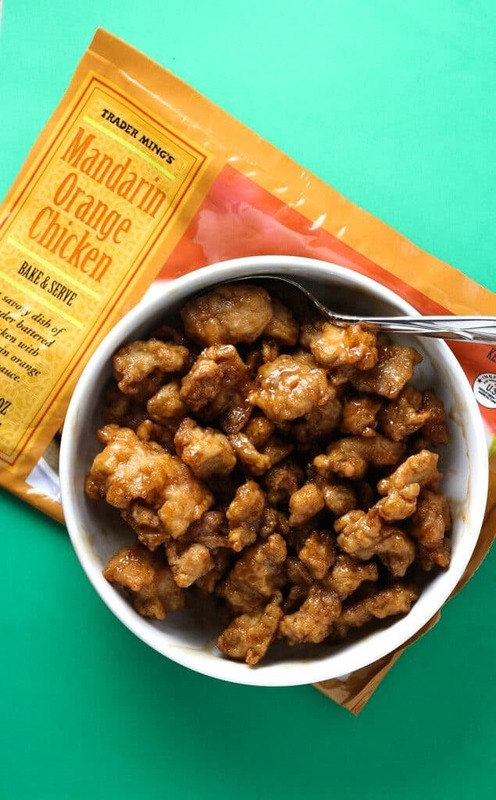 Trader Joe’s Mandarin Orange Chicken is as close to ordering from your local Chinese restaurant without going out. These are on par with what you can get in the frozen section of your local Asian grocery store. 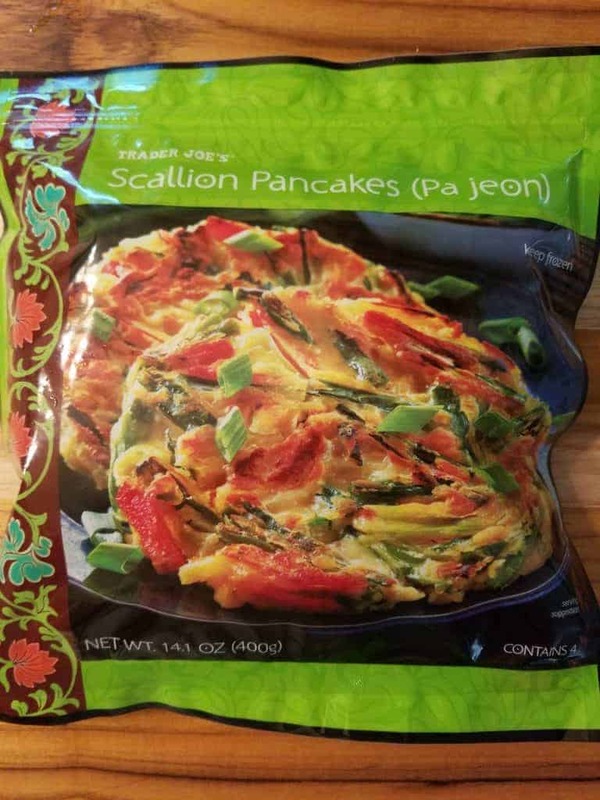 These scallion pancakes are easy to make and delicious to eat. 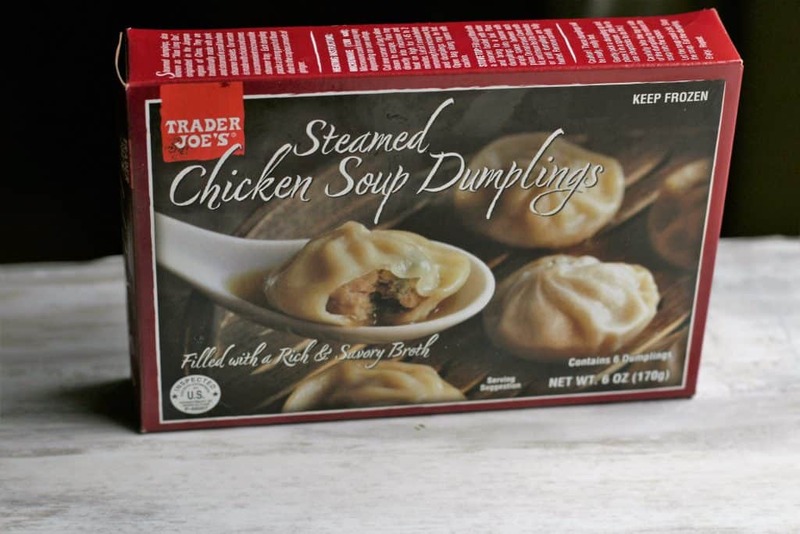 These Chicken Soup Dumplings end up in my cart quite often. They are flavorful, have ridges for dipping, and are ready in about 2 minutes. 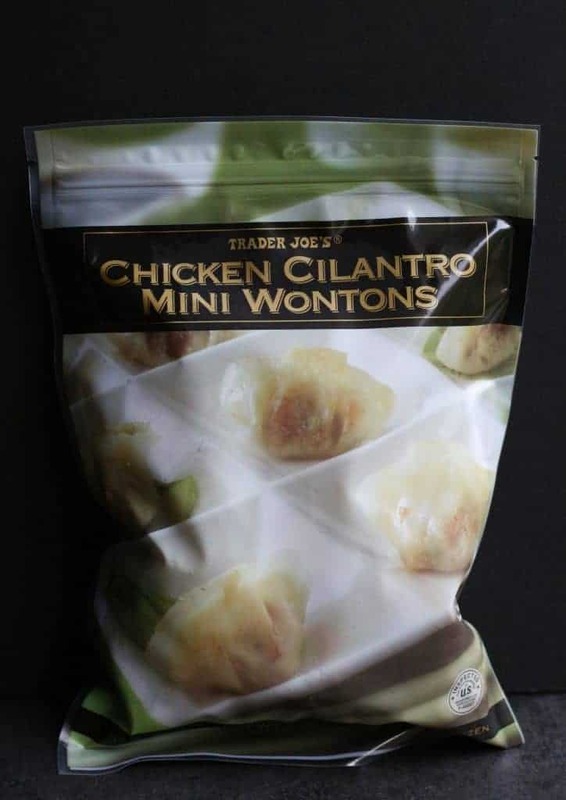 Another item that is on par with what you would find in the frozen aisle of an Asian grocery store are these pot stickers. 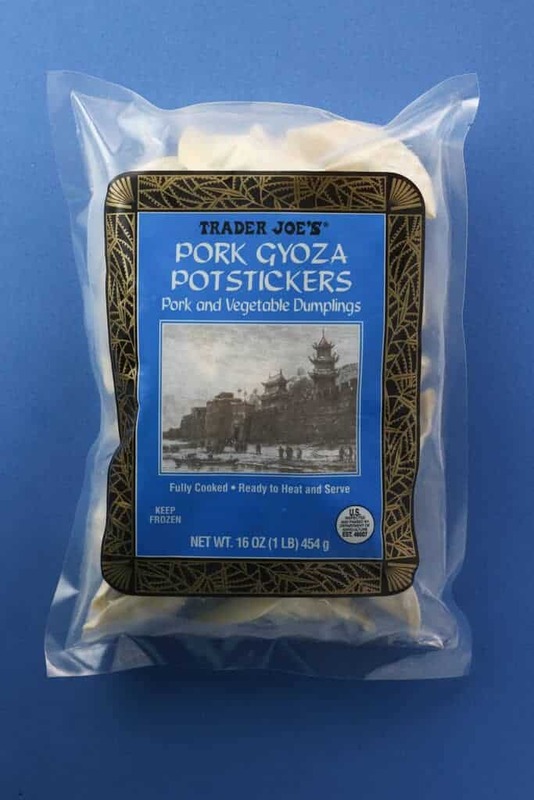 While I personally like the pork the best, they do sell other varieties including chicken, the now discontinued sriracha seafood potstickers, and thai shrimp gyoza. 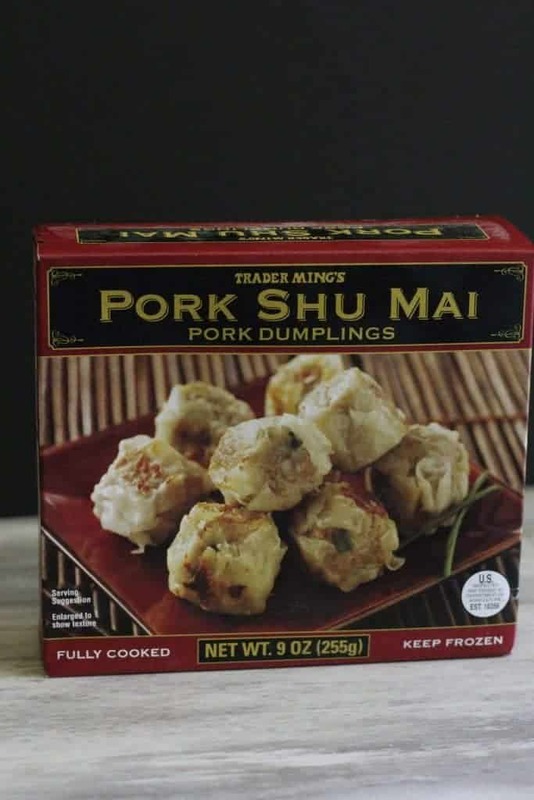 Another classic Asian dumpling, the pork shu mai are well done as are the chicken variety. However, the chicken variety does come with its own packet of dipping sauce. 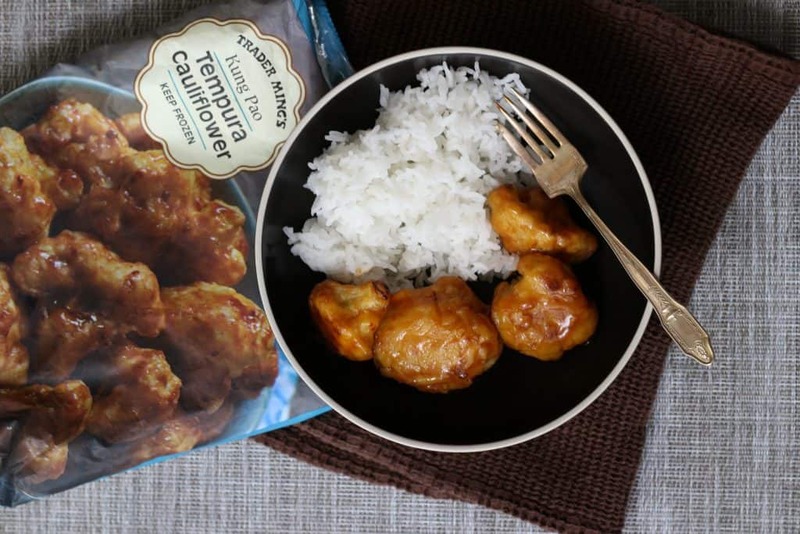 Right out of the oven, this Cauliflower Kung Pao tempura holds up very well. However, only cook up what you need. Like regular tempura, the reheat isn’t as great. These mini chicken cilantro wontons are perfect on their own, as an appetizer, or in soup. A solid pizza choice if you love the classic pairing of pizza with Pepperoni. 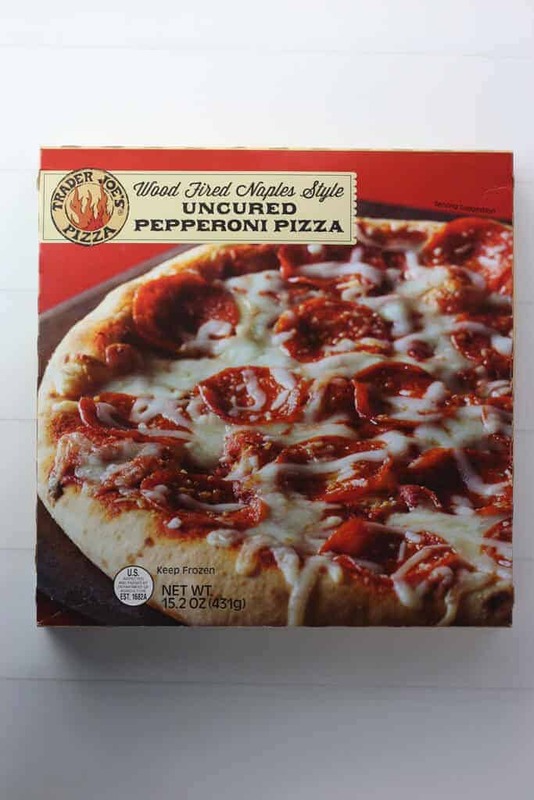 This pepperoni pizza is affordable and ready in a reasonable amount of time. 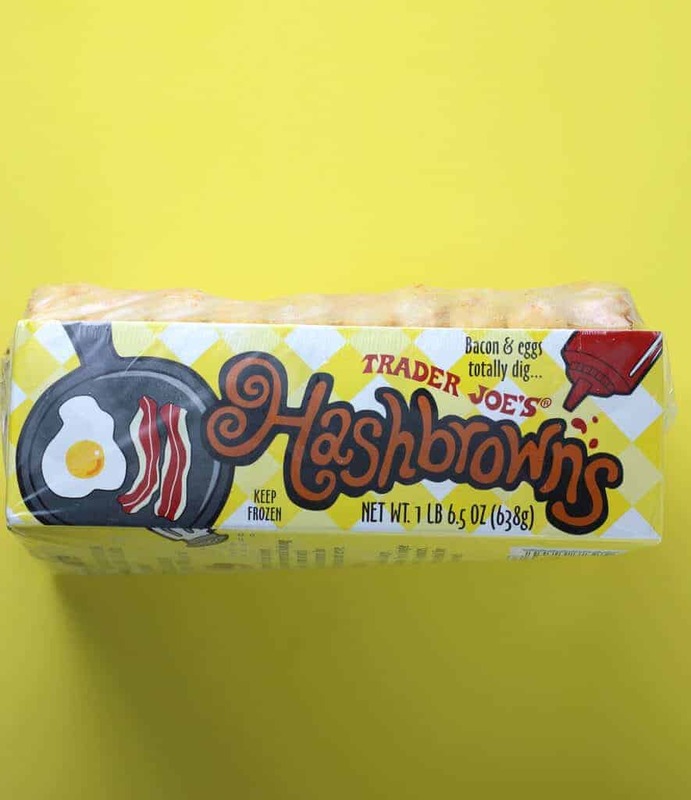 My only non Trader Joe’s item on the list. If you’ve walked past these, you shouldn’t. 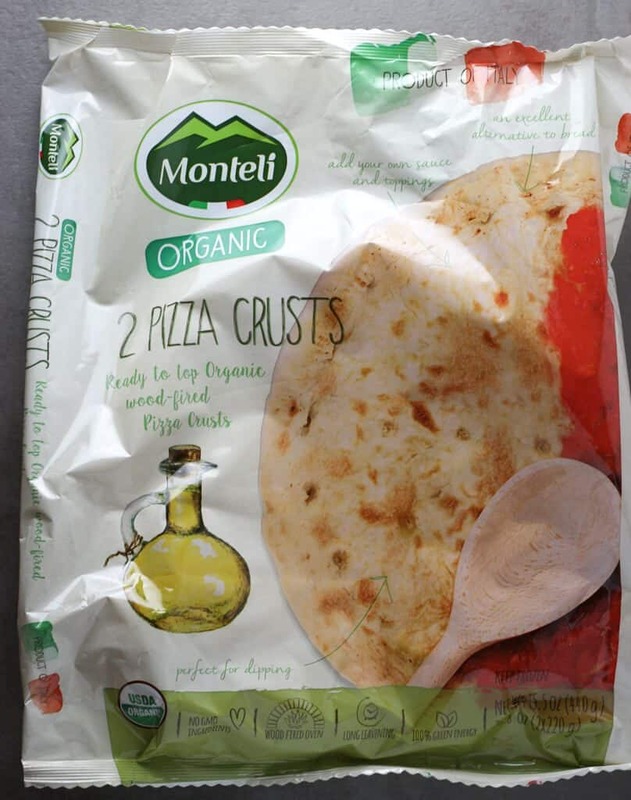 Monteli Organic Pizza crusts are worth picking up if you have passed these by. 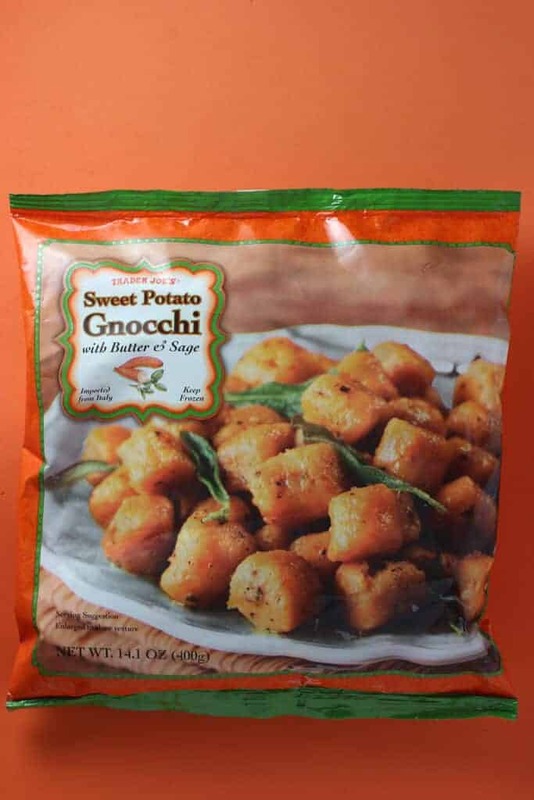 Out of the gnocchi options available, this one stands out in terms of taste. The others can be made using dry gnocchi instead. Chimichurri Rice is flavorful and makes for an easy side. Add to soup to make it more filling or add a protein to make it a full meal. 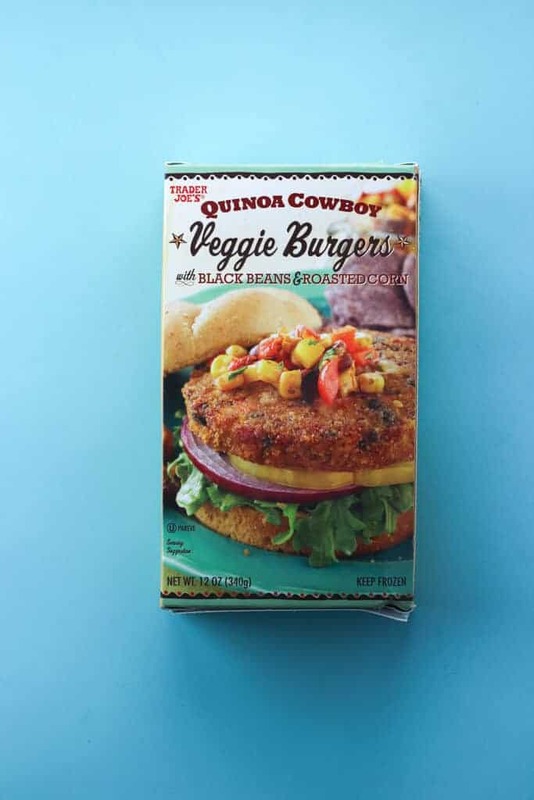 While Quinoa Cowboy doesn’t taste like a regular burger, it doesn’t have to. This is flavorful and gets its “meatiness” from black beans. 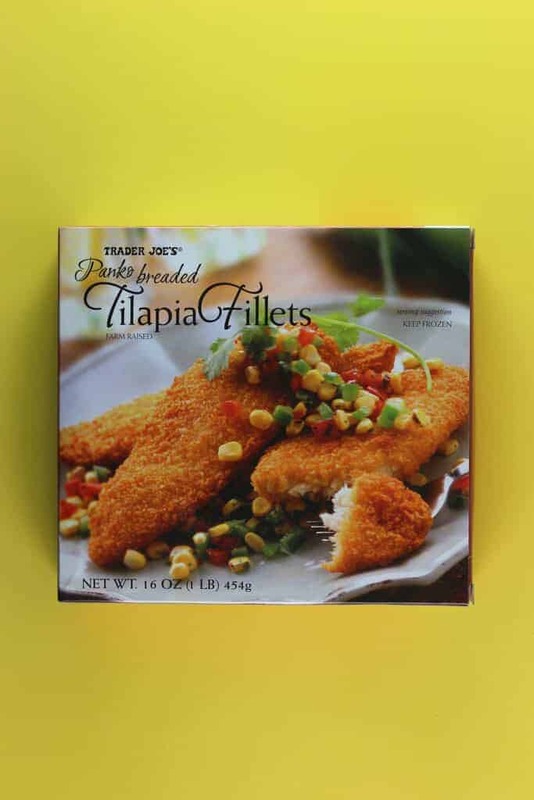 Whether it is a quick fish dinner or fish tacos, these Panko Breaded Tilapia come out crisp every time. 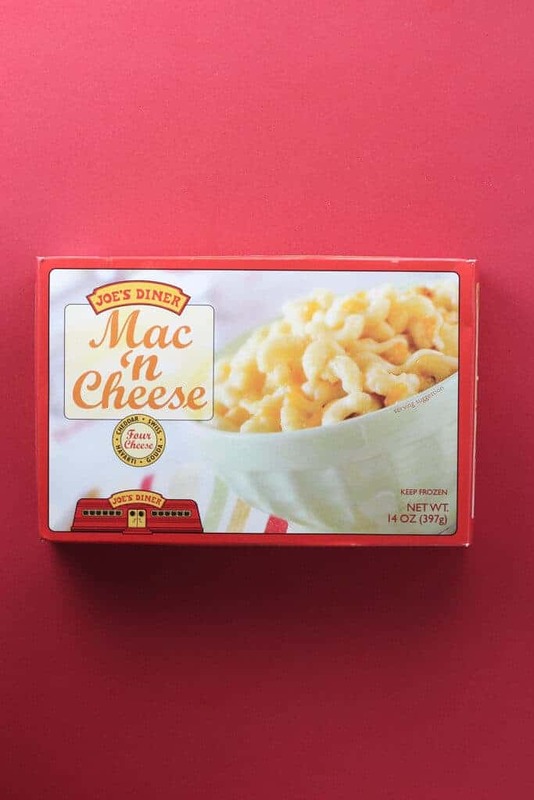 If you are willing to not look at the calorie count on this package, then this is as good as homemade mac and cheese. If you want an easy meal for one, the consider this single meal eggplant parmesan. 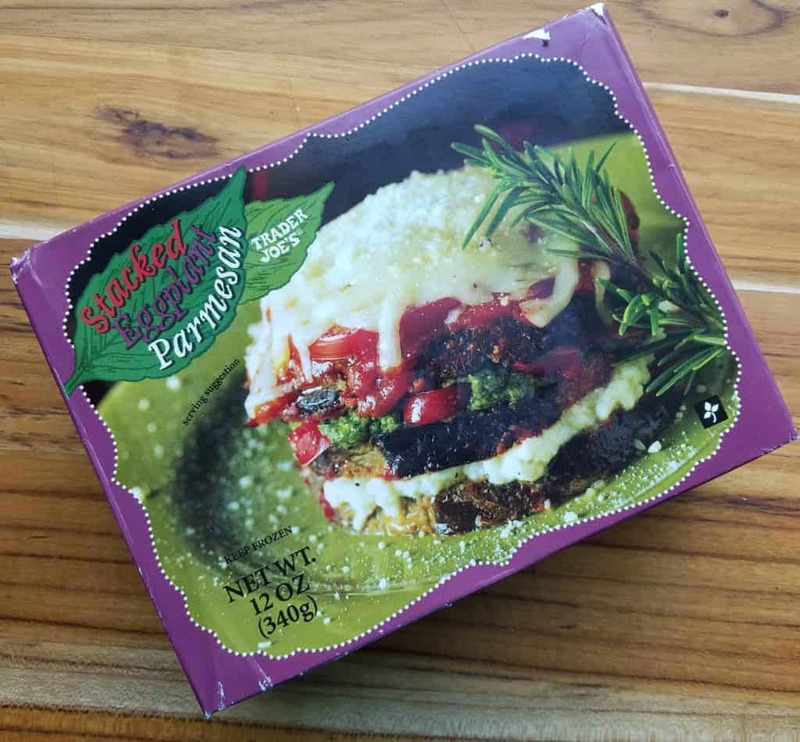 While not as pretty as the package, Trader Joe’s Stacked Eggplant, is a solid choice. I love fried eggplant. I don’t love the mess that that makes. 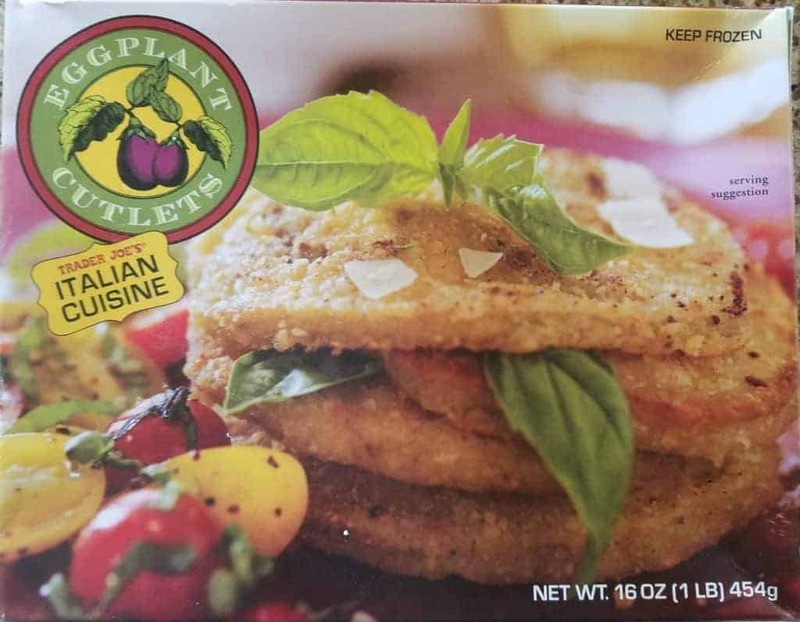 Trader Joe’s Eggplant Cutlets are a perfectly easy way to enjoy that freshly fried eggplant taste. 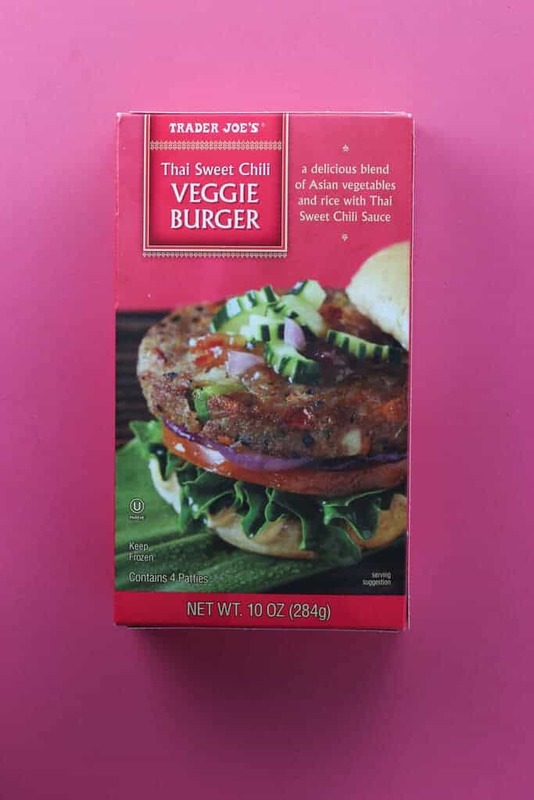 If you need a break from Quinoa Cowboy Burgers, then Trader Joe’s Thai Sweet Chili Burgers are a delicious side that is Asian inspired in taste. All the familiar Japanese flavors in an easy to make vegan entree or side dish. 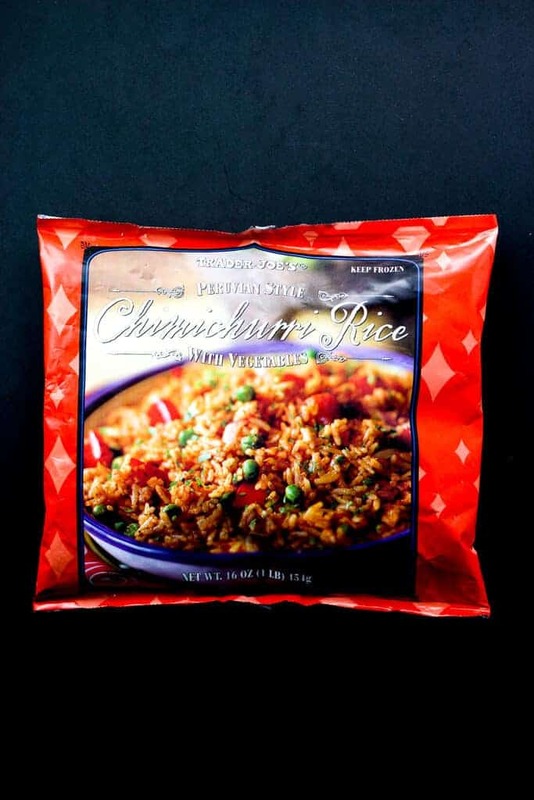 Delicious and quick Trader Joe’s Japanese Style Fried Rice is a staple in my household. 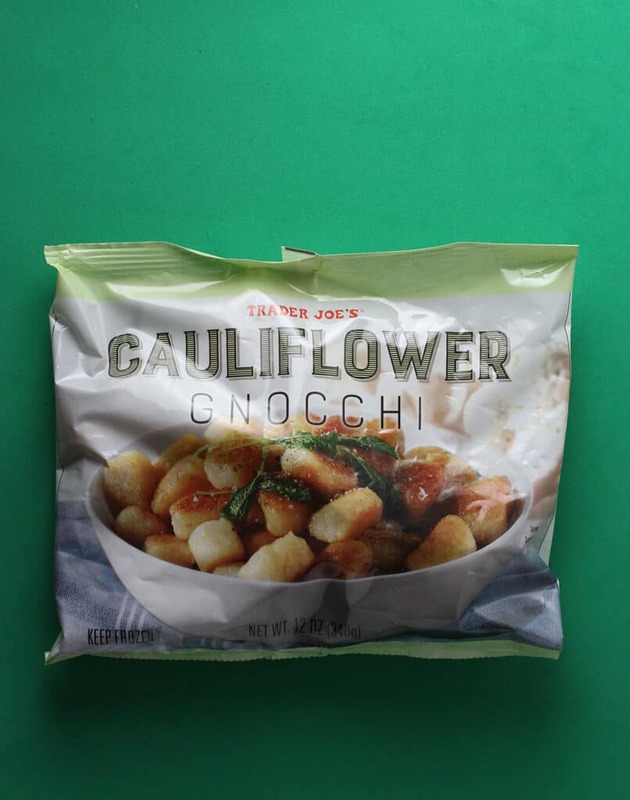 Trader Joe’s Cauliflower Gnocchi is a love it or leave it item. If you don’t mind cauliflower taste AND you are willing to saute these, you’ll be rewarded with a lightened up rendition of gnocchi. I discovered these through a sample in store. 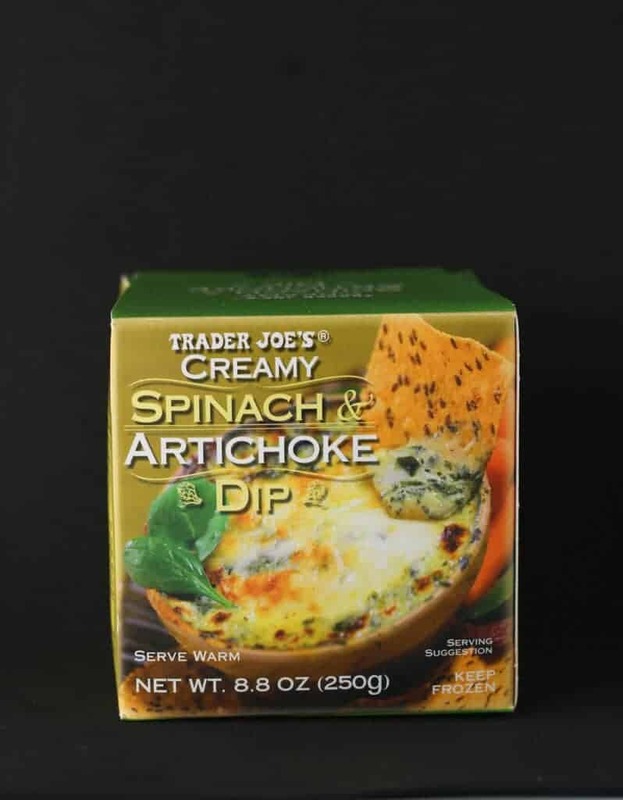 I’ve been hooked to Trader Joe’s Creamy Spinach and Artichoke dip ever since. Perfect for sharing and you’ll want to pick up more than one. 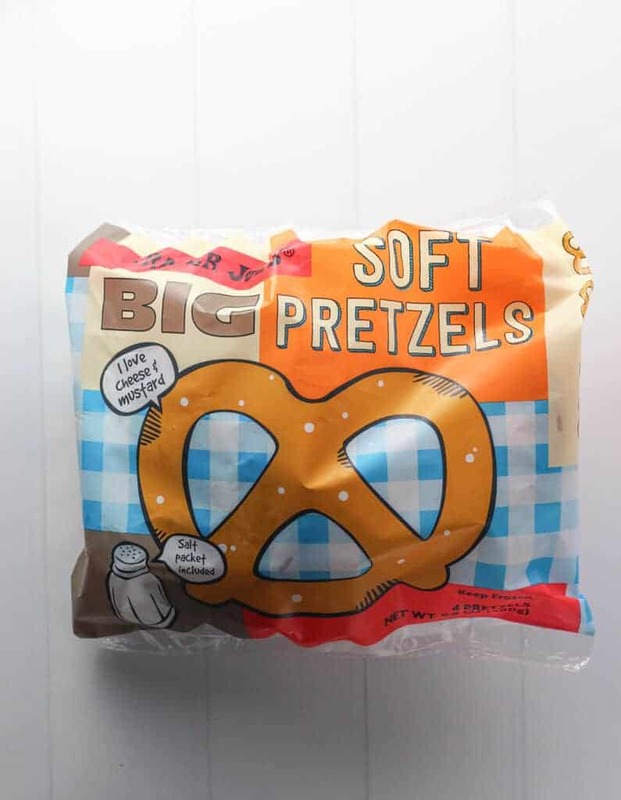 Since they introduced these, I have consumed so very many bags of these Pretzels. And of course my fair share of pub cheese to go along with them. Appetizer and Indian at the same time. 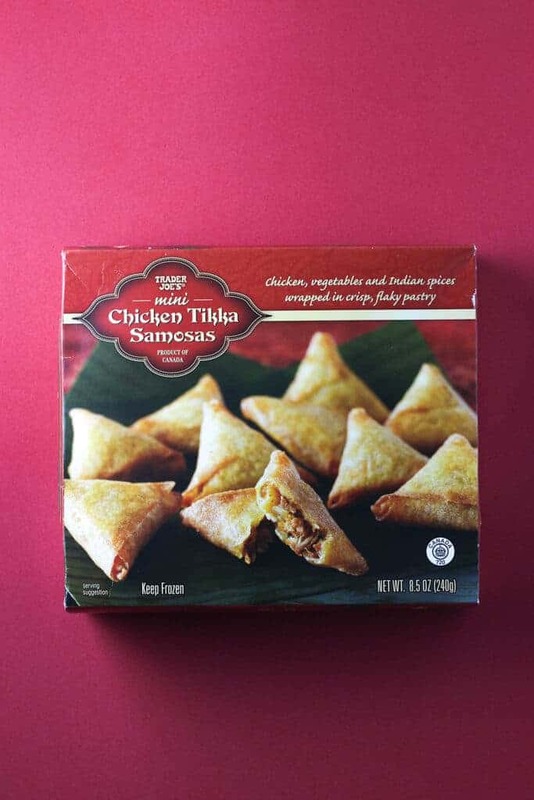 The exterior of these are crispy and the inside is full of chicken tikka flavor. These can also make for an easy dinner as well. You can read my review of these here. Trader Joe’s Meatball selection is solid. 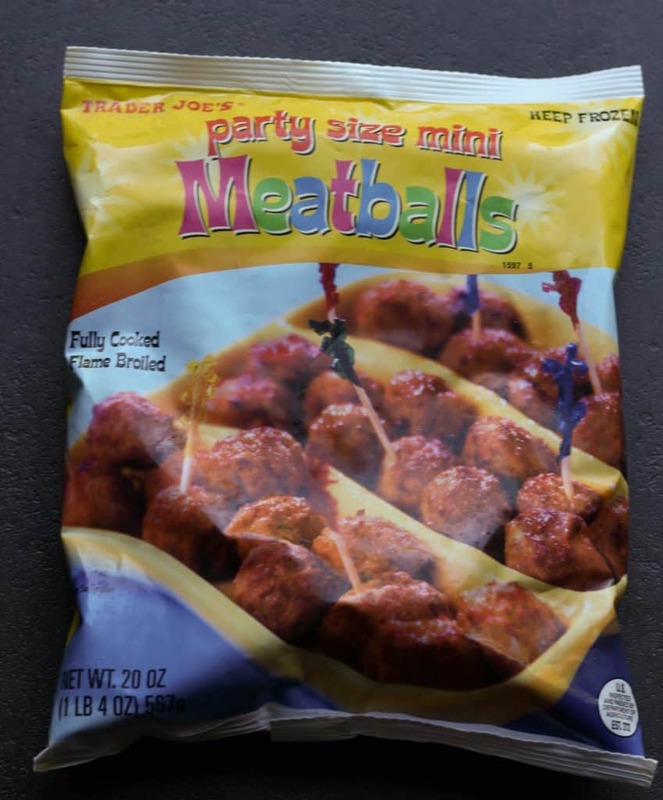 So whether you are reaching for the party ones, beef ones, turkey ones, or meatless ones, they’re all good options. And yes, if you add sauce or doctor them up they are even better. These are crispy and remind me of a really tasty onion ring, in nest form. With awesome dipping sauce. 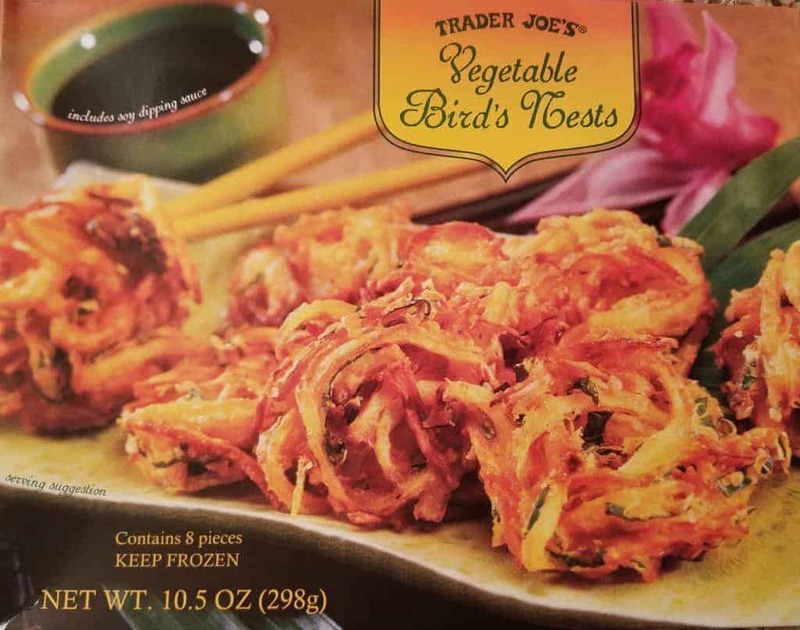 You can read my review of Trader Joe’s Vegetable Bird’s Nests here. 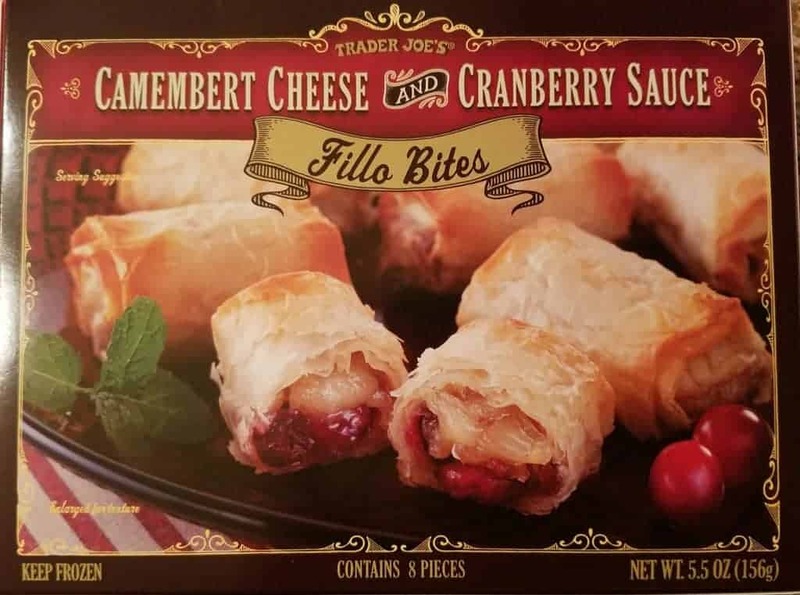 These Camembert Cheese and Cranberry Sauce Bites are a perennial favorite, but they are only available during the winter holiday season. 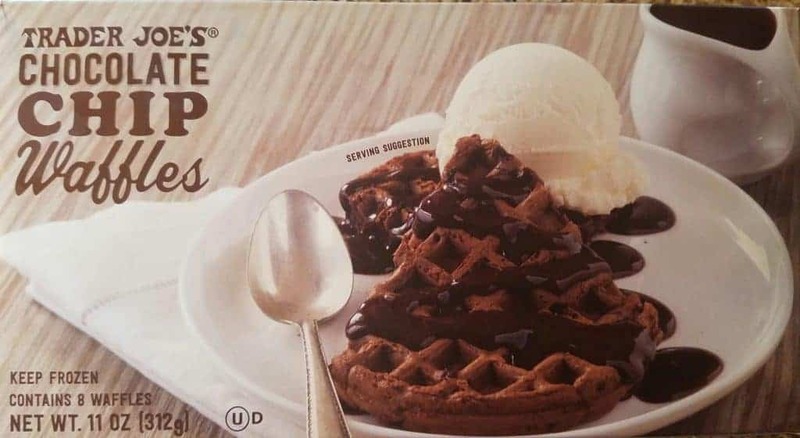 These Chocolate Chip Waffles were a seasonal item that I only saw during the 2016 holiday season. They haven’t been around and I’ve been asked about them ever since. I wish they would bring these back. 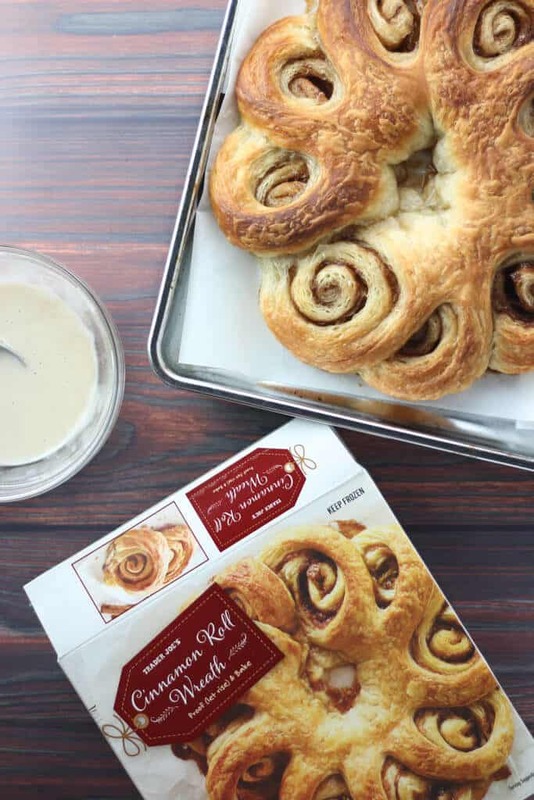 If you want a taste that is closer to homemade Cinnamon rolls, then consider this Cinnamon Roll Wreath the next best thing. They need to be risen overnight and you’ll have to make your own glaze. These are available from Thanksgiving to New Year’s. 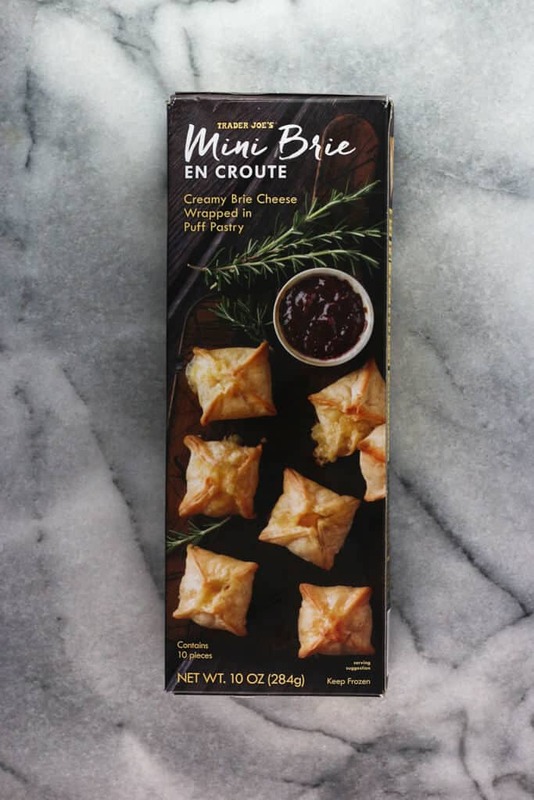 These mini Brie en Croute take advantage of melty brie and pairing it with a pastry to create what look like little melted cheese volcanoes. These are available in the late Fall/Winter. Yes, Trader Joe’s sells Apple Blossoms year round, but there is something really delicious about this slightly larger tart. 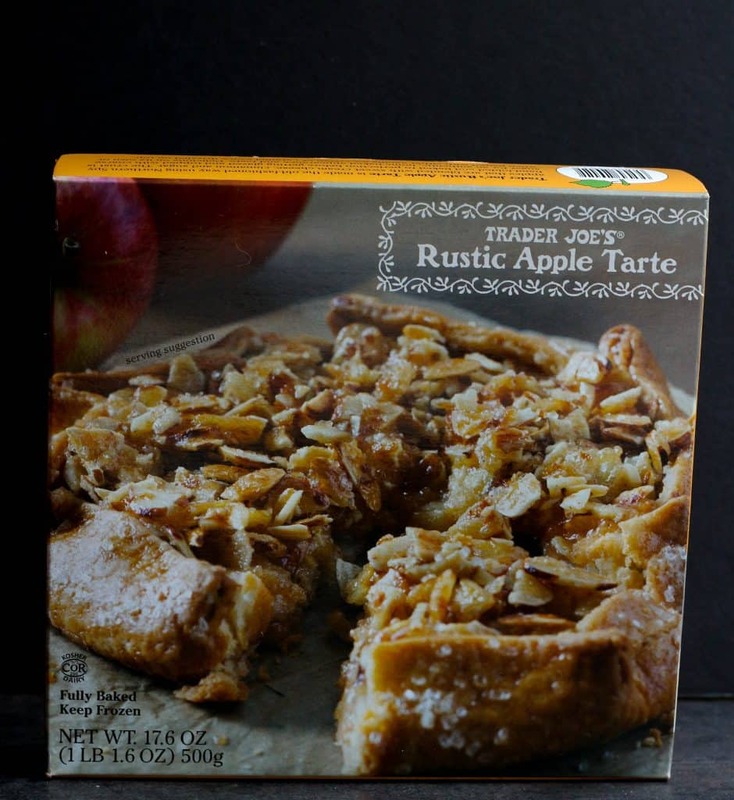 You can read my review of this Fall seasonal item here. 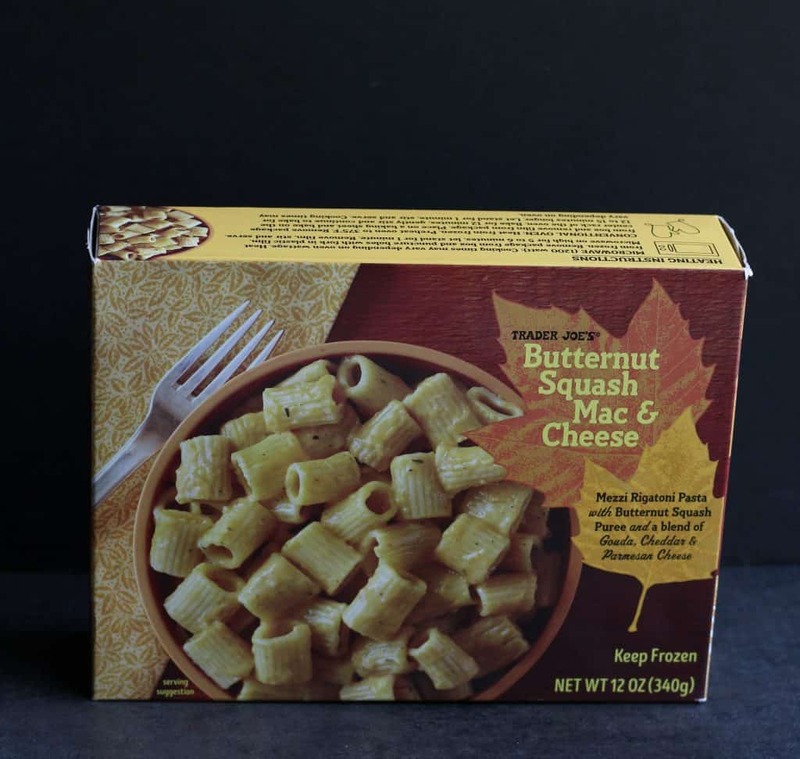 This Fall seasonal favorite is a classic spin on mac and cheese. It is filling and flavorful without being too squashy. 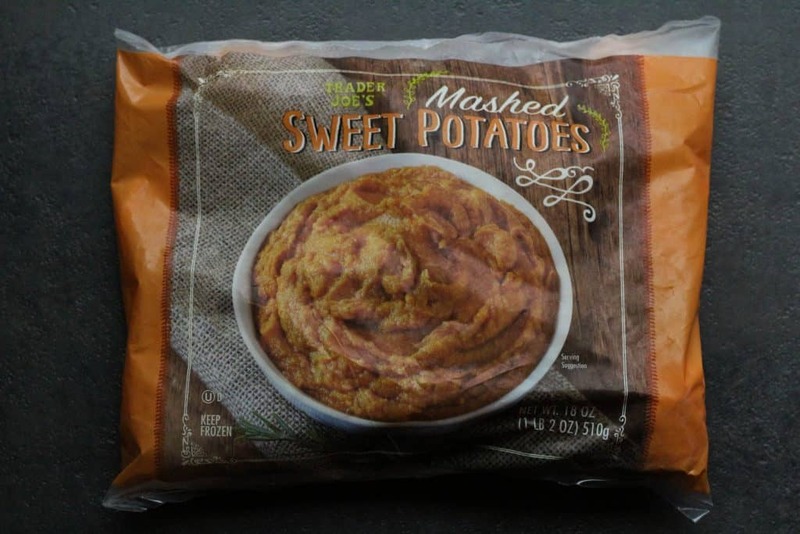 Here is Trader Joe’s Mashed Sweet Potatoes, a perennial favorite that shows up around the Fall, in time for Thanksgiving. Minimal ingredients and comes in small circles so you can measure out how much you really need. This was new for 2018 and was really well done. 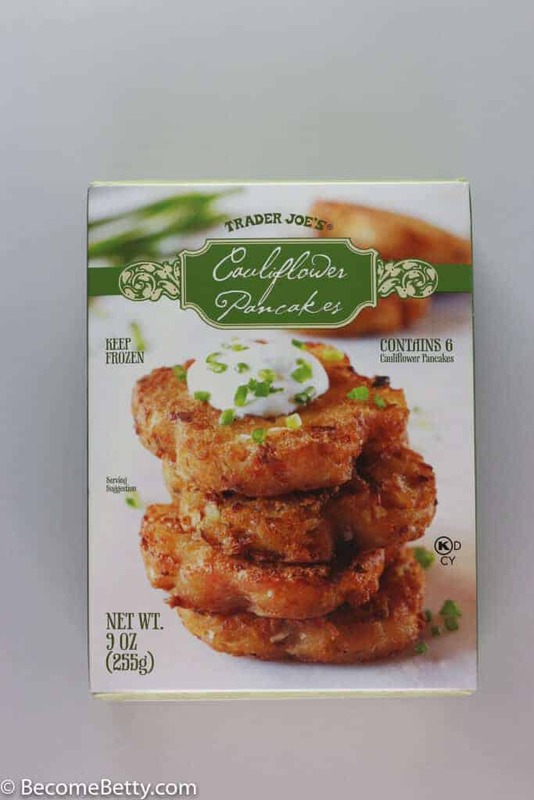 This cauliflower rendition of the potato latke was flavorful and a real surprise. You can read my full review here. This was available for the winter 2018 season. Don’t forget to share your thoughts and leave a comment below. 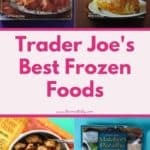 Do you have a certain favorite frozen item that didn’t make this list? I wish they would bottle the indian food sauces alone. I would buy bottles of these. The sauces are so flavorful and so good! I sop up every single morsel of it. Hey Alek! I totally feel the same way! Such a shame they don’t do that. I really like the chicken skewers with mango sauce, available during Mango season. Wish TJ’s would add these year round. Also, the peppermint mini cones are so delicious. What a fantastic comprehensive post!! 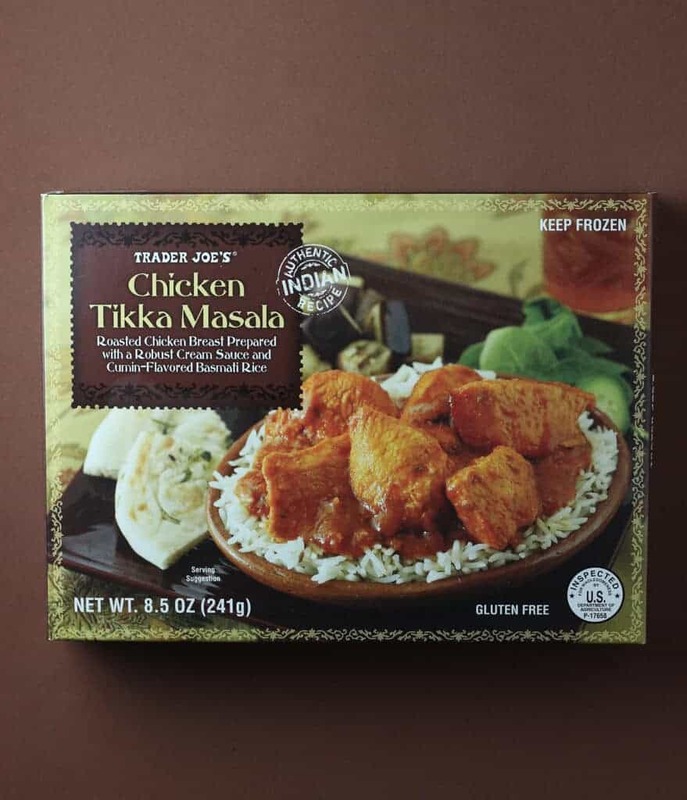 That vegan tikka masala is a favorite of mine-and I generally don’t buy many prepared meals ever. I like to flop the whole hot entree over some baby spinach, the spinach wilts a little and adds some veggies to the situation. You missed mentioning the thai veggie dumplings! I actually had some last night :)) they have a super thin skin so you have to be gentle if you steam or boil them. 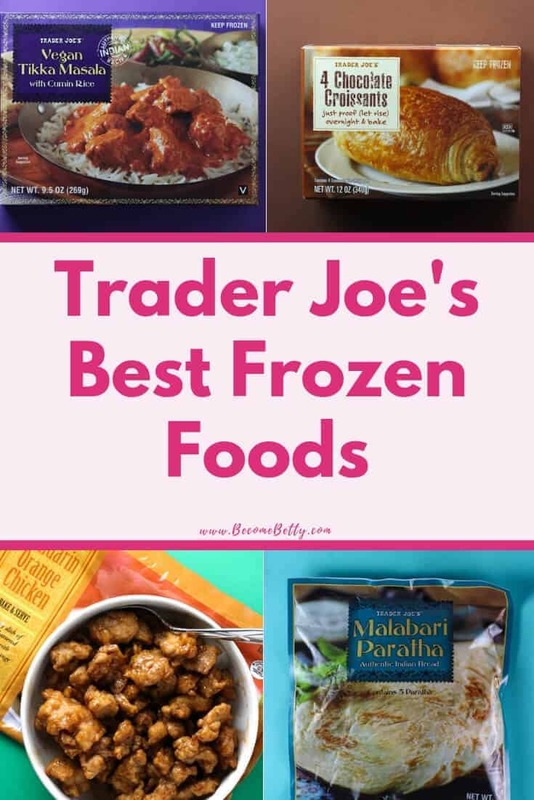 Also no mention of the frozen fruits and veggies- I generally hate frozen veggies yet somehow the frozen haricot vert stay al dente and are an awesome deal. The frozen roasted corn, soycuttash blend, wild blueberries, and mango are all regular purchases. Hey Ttrockwood! I think I lumped the Thai shrimp dumplings in with the pork gyoza discussion. And yes, I totally by passed the fruits/veggies. I don’t think I’ve reviewed enough of them to comment. I think I’ve only covered the blueberries and strawberries here. I can always update in a year or two when I get more reviews under my belt. Thanks so much for stopping by!